• 30° roof slope for efficient water shedding. 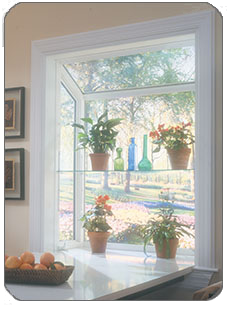 • Specially built trapezoidal operating side casements that open wide for ventilation. • Dual compression seals and locking hardware provide air and water tightness. • Weep channels keep the interior dry. • Adjustable height PVC-coated shelves or optional glass shelves. • Seatboard is resistant to mold, mildew, fading, discoloration, warping, peeling and de-lamination.